Roberts Re-Signs Take a look at some of Fletcher Roberts' 2017 highlights as he puts pen to paper on a new two-year contract - keeping him at the Kennel until at least the end of 2019. 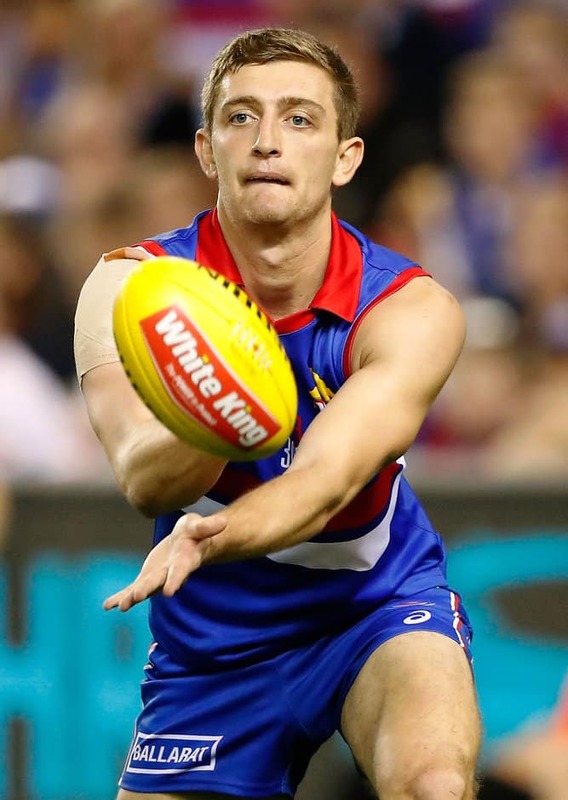 Western Bulldogs defender Fletcher Roberts has agreed to terms on a two-year contract extension, keeping him at the Club until at least the end of the 2019 season. Roberts is the latest in a line of Bulldogs who have re-committed to the Club in recent months, with the 24-year-old joining Kieran Collins, Lewis Young, Patrick Lipinski, Clay Smith, Marcus Adams, Tim English and Bailey Williams to have re-signed. “We’ve been really encouraged by Fletcher’s development as a tall defender since he came to us in 2012, particularly the last 12 months” List Manager Jason McCartney told westernbulldogs.com.au on Tuesday. “Fletcher reads the play well and regularly leads the side in one percenters, which is a tribute to how hard he works for his teammates. The 196cm, 90 kg Roberts was taken with the 11th pick of the 2011 Pre-season Draft and has played 46 games for the Club.